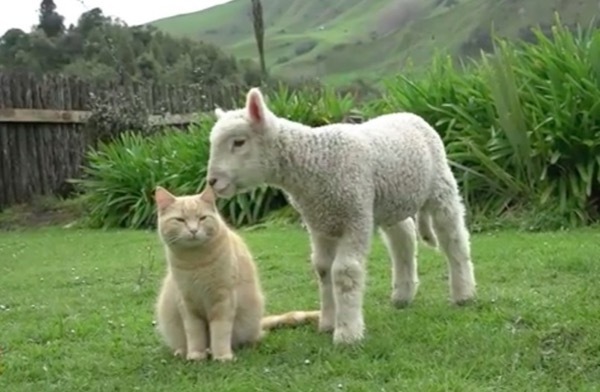 This is Steve, a delightful ginger kitty who has a very unusual following…a flock of lambs! 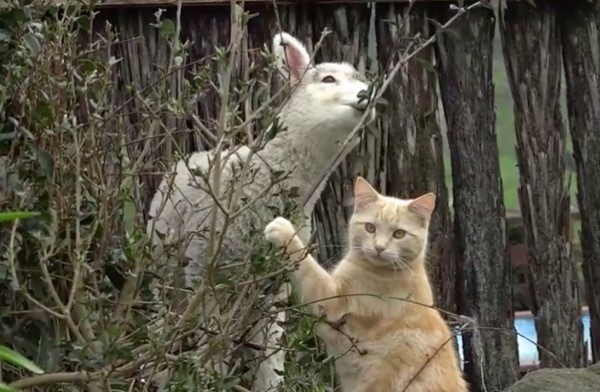 They looked out of the window and noticed that Steve was happily hanging out with the lambs. 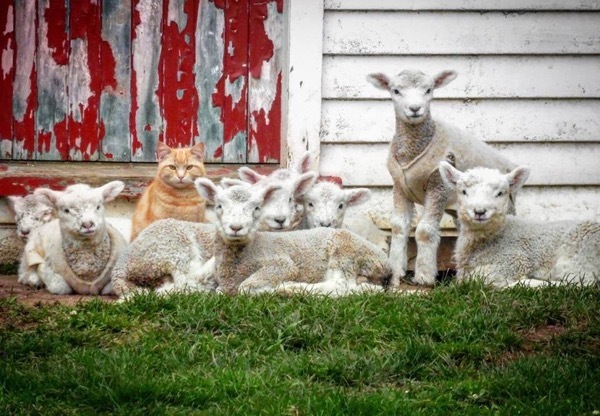 He’s sort of became their leader and the lambs follow him where ever he goes. 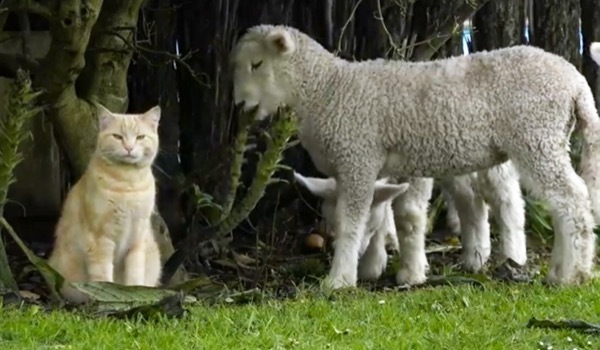 Since then, Steve and his lambs have become inseparable and they do most things together except when it’s bottle feeding time and he patiently waits nearby until they’ve finished their meal.